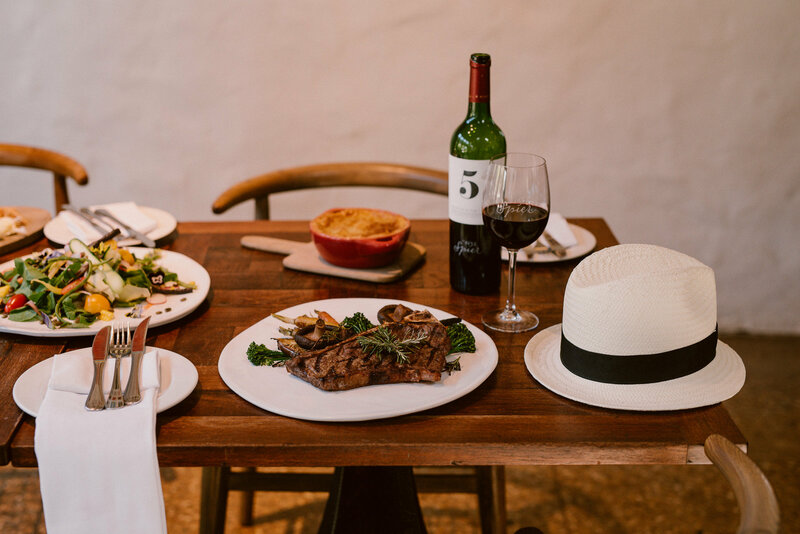 Spoil Dad with lunch at Eight, our acclaimed farm-to-table restaurant. Our harvest table offers a range of dishes all prepared with fresh, home-grown, seasonal ingredients. Greens and fresh veggies come the Werf food garden where they are grown without the use chemical fertilisers, pesticides or artificial chemicals. Our fillet, sirloin and sausages come from grass-fed cattle reared by Farmer Angus on Spier’s pastures, along with delicious eggs laid by happy hens that scratch around freely in the fields. The chickens, cattle and pork are raised without the use of antibiotics or hormones.